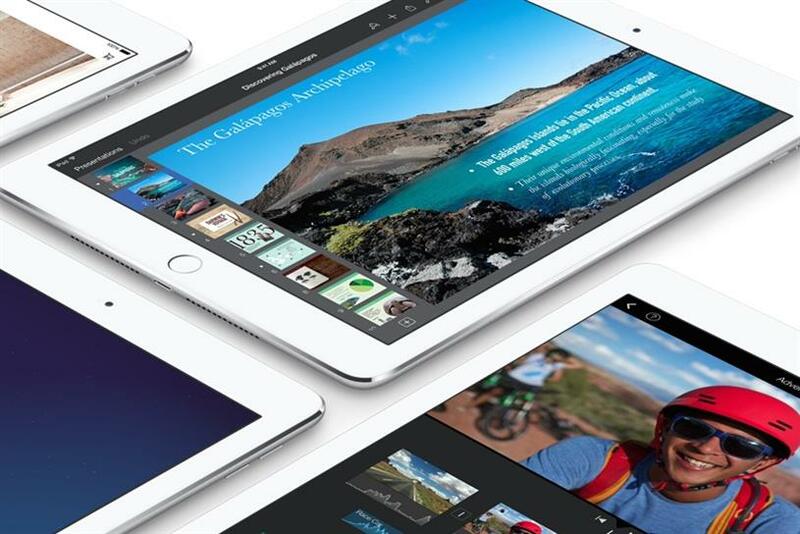 CUPERTINO, CALIF. — Apple has launched the iPad Air 2, its thinnest tablet yet and the first model available in gold. The lightweight tablet is just 6.1mm thin — slimmer than the average pencil — and weighs less than 500g. It is 18 percent slimmer than the original iPad Air and an improved chip means the device is 40 percent faster. Apple has also upgraded the Retina screen to account for the thinner build and claims it has better and more vibrant colors. It also features anti-reflective coating. "This is the new iPad Air 2, can you even see it?" Apple CEO Tim Cook said Thursday as he held up the new device. Phil Schiller, Apple's chief marketing officer, said two iPad Air 2 tablets stacked on top of each other would still be slimmer than the original iPad. Forrester analyst Thomas Husson noted the importance of including Apple's new mobile payment service, Apple Pay, on the new device. "With a significant installed base, a high usage, a premium experience and now a better online payment offering, iPad devices will simply continue to offer huge opportunities for brands," Husson said. In terms of prospective success, other observers noted that Apple faces a tougher market in the coming year, with a predicted slowdown in tablet sales through 2014. According to Gartner figures released this week, tablet sales are expected to rise 11 percent in 2014. That compares starkly with 55 percent growth in 2013. This article was first published on brandrepubic.com.